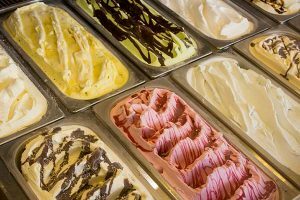 There are many things that owners can do to attract more customers to their gelato store. Here are 5 tips that owners can do to keep customers coming back. 1. Be present – As a gelato store owner, you will know best about how you want your store and brand represented. The best way to keep your quality standards in check is to get involved in daily operations. You should do this by communicating with your staff and speaking to as many customers as you can. 2. Pricing – Your pricing should be directly connected to the quality of your products, the atmosphere and the standard of service you provide. You should also consider your local economy and your customer’s lifestyle. 3. Give back to your community – Do your best to use local products, as this would mean that your ingredients will be fresher and in some cases cheaper. You could even purchase items like gelato cups and spoons from local suppliers, who may be able to give you a discount and replenish items with shorter lead times. 4. Offer tasting options – Give your customers the choice of tasting your gelato flavors before they make their choice. You could offer tasting spoons and give out samples, to encourage customers to try different flavor options. 5. Ambiance – Even a small gelato establishment can appeal to individuals of all types. For example, you could have comfy couches and low tables for families and stools with a bar top for those visiting for a quick gelato. In the market for a supplier of frozen yogurt cups and spoons? Gelato Products will have what you want.